We are ready to welcome you with plenty of fun in a “haunted” environment, with great live jazz and a costume contest on this Halloween night. Our unique whisky and cigar bar will be transformed into a “haunted graveyard”. Entrance will be free. Coco Rouzier with her amazing voice and live Jazz band will entertain our guests from 9PM until midnight. Our “The Omen” cocktail at 150 Baht is a must that every guest should not miss. Our talented bartender has created a spooky cocktail based on Bacardi Apple and the cocktail will be available only on this Halloween night. 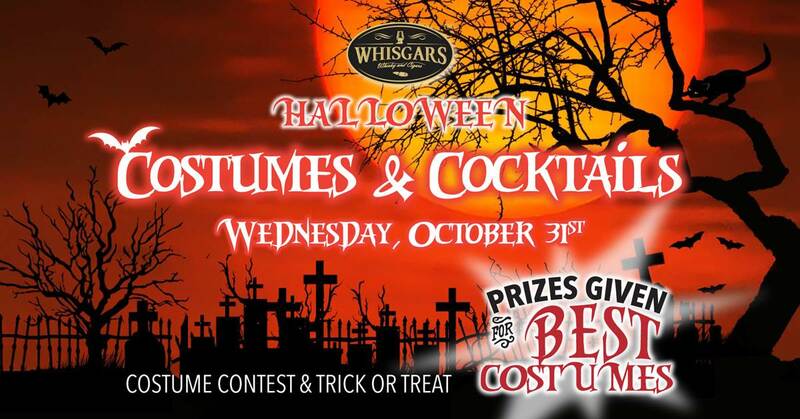 Come and enjoy a “spooky” night with us! 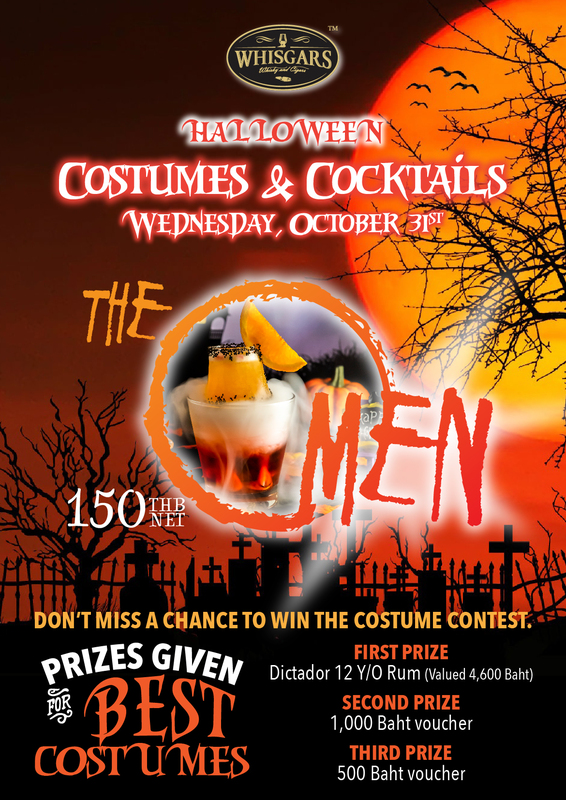 Don’t miss a chance to win the costume contest and get your “freaky photo” taken at the WHISGARS Sukhumvit 23 GRAVEYARD. Space is limited. Table reservations strongly suggested.